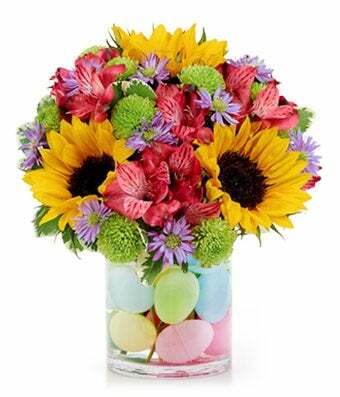 Celebrate Easter this year with this unique bouquet of sunflowers and more! Delivered in a keepsake vase filled with plastic Easter eggs to create the perfect decoration for the home. Vase and Easter egg products may vary depending on local florist's availability.